I was hanging out with my friend, Louise who happens to own Weezie’s GF Kitchen over in Oakland Park, and we were having a discussion about whether or not it’s a good idea to go on a gluten free diet if one doesn’t necessarily have to. See, Louise admits that she had to give up gluten because she became wheat intolerant. However, I’ve noticed that there seemed to be something of a trend happening in regard to associating gluten free diets with weight loss, so I felt this would be as good a time as any to discuss the subject further. Now I’m not a doctor, nor an RD, so by all means, if you suspect that you’re sensitive to wheat, or if you have thyroid issues, then please see a medical professional or a well-qualified nutritionist to advise you further. What I’m discussing here is whether or not making this change in your diet is effective for weight-loss in and of itself. There is no question that the quality of our food has undergone some changes, and as a result, many of you out there have had to eliminate gluten from your diets altogether. Wheat sensitivities and intolerances are on the rise, so we see a number of people like Louise use their talents to lessen the pain of restriction by making gluten free foods available to those who need it. But when it comes to eliminating entire food groups, I have to mention that I had recently stumbled across a magazine article that discussed celebrities going gluten free for weight loss. The issue I had with this was that it took a very real medical condition and turned it into a fad. So now, as a result, people are putting themselves on severely restricted diets not because it’s medically necessary, but because it’s been touted as a weight loss method. Look, it just may be wise for you to reduce your consumption of gluten, and this is fine. There is plenty of info out there discussing gluten and its detrimental effects in the body. But because I care about you, I wanted to use this opportunity to suggest that you get properly informed by a well-qualified professional before making any hasty dietary decisions. 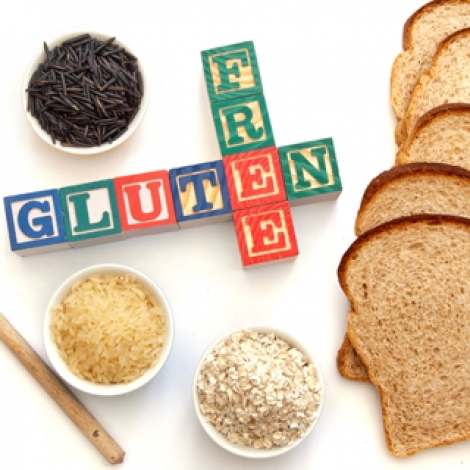 For some additional information about gluten and its role in your diet, feel free to visit www.celiac.com or go to www.weeziesgfkitchen.com and click on the resources tab.